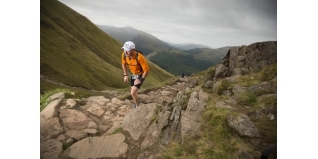 When there 'aint no mountain high enough', you'll have to find other ways to perfect your training for the Ben Nevis section of the Braveheart Tri. By Fiona Bugler. One of the key principles of fitness and sport training is specificity. With the Ben Nevis Braveheart Triathlon (www.bravehearttri.com), that would mean running up and down Ben Nevis, or a similar mountain, but the problem is there's not that many 1341M (4400ft) plus Ben Nevis replicas for us to train on. So, how do we prepare for a mountain when we live on the flat? Check out Sean McFarlane’s Tips for the Run Section HERE. Hill Reps: Ensure you include hill reps as part of your training. See this week's suggestion from Mark Kleanthous. Hilly tempo runs: Try to include some hilly tempo training into your training plan. Run for up to 90 minutes with at least 30 minutes at a comfortably hard pace. Work to heart rate, try to work at 85 percent of max. Long hilly runs: You're going to climb 4,400ft on the day, so the more you can practice the better. Find steep, hilly, preferably off-road terrain and if you use tracking app or device, try to up the elevation you're covering each week. At the gym: You'll need a strong core in order to navigate the twists and turns of the Ben, and to help you stay strong and balanced. Supplement your training with core work on a balance board (on one leg) and traditional easy to do exercises like the plank, either a straight plank, or for a little bit more instability use a TRX or stability ball, to place your feet. Running off road and doing core work will improve balance. If you can fit in gym sessions make sure you include one legged exercises, such as one legged deadlift, squats and step ups. When you run uphill you'll be forced onto your midfoot and forefoot and if this isn't your style of running you can expect to feel it in your calves so add calf raises to your gym programme. It also makes sense to work the glutes with exercises such as single leg bridges, as you'll need to use these muscles when walking steep sections (see below). When running uphill avoid excessively leaning forward. This shortens the hip flexors and makes it harder to lift your knee. Remember to stand tall and try to straighten the leg as much as possible. Try to open up your chest and relax your shoulders. It's going to be hard to avoid looking down as you'll want to watch your footing, but try to stand tall. Power walk the really steep bits. A strong power walk can be way more efficient in this race, as the effort you put in to run may use up vital fuel stores and negate any benefit from going a fraction faster. Push yourself up the mountain using your glutes, rather than pulling with calves and quads. Use shorter strides and keep your back straight. When running downhill avoid excessively leaning backward. This slows you down. Try to focus on a quicker stride so you can maintain balance, and avoid flailing your arms about as this will waste energy.